Come on out to Crofton on May 23rd for a club picnic and a video shoot. 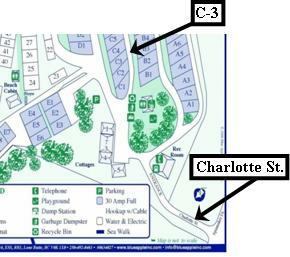 Margaret's trailer will be at site C-3 at the Osborne Bay Resort, 1450 Charlotte Street, Crofton, B.C. and it promises to be a fun day to spend some time with your fellow club members. Keep an eye out for our sign..!! Plan to arrive around 10 a.m. and bring along a lunch, and an extra piece of fruit (to be combined into a nice fruit salad), and also a folding chair. Margaret is arranging for good weather for the day, and also planning a short video production (participation is optional). The video shoot will be short and based on one of the ideas from last year's "Ideas Workshop." Let Margaret know if you'd like to participate in the shoot and she'll assign you a role. q From Victoria drive North on the Trans Canada Highway. 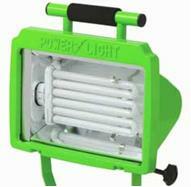 finally, you often have to gel the lights to correct for colour temperature differences. q Go through Duncan and pass the Discovery Forest Centre. q Turn right at the next traffic light on Herd Road, go 5.7 Km to Osborne Bay Road. q Turn left on Osborne Bay Road and drive about 10 minutes to Adelaide. Turn right on Adelaide, left on Queen, then right on Charlotte. q The RV park is at the end of the street. at Albright Lighting near Furtureshop on Blanshard) run cool, use less electricity, and have a colour temperature that is closer to daylight—a real advantage when you are shooting less electricity, and have a colour temperature that is closer to daylight—a real advantage when you are shooting in a room that you need the light from the windows to help light your scene. And there is no flicker (like the older fluorescent lights used to produce). 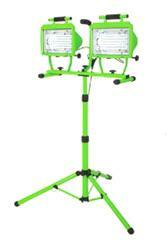 The example worklight shown here uses 130 watts (two 65 watt PL flat bulbs) that provide the equivalent of 600 watts in halogen lighting. Your actors (and your gels) will love that the lights run cooler. Any downside? They are more expensive. The example here is about $150. But I hope that the price will drop as they sell more...! !